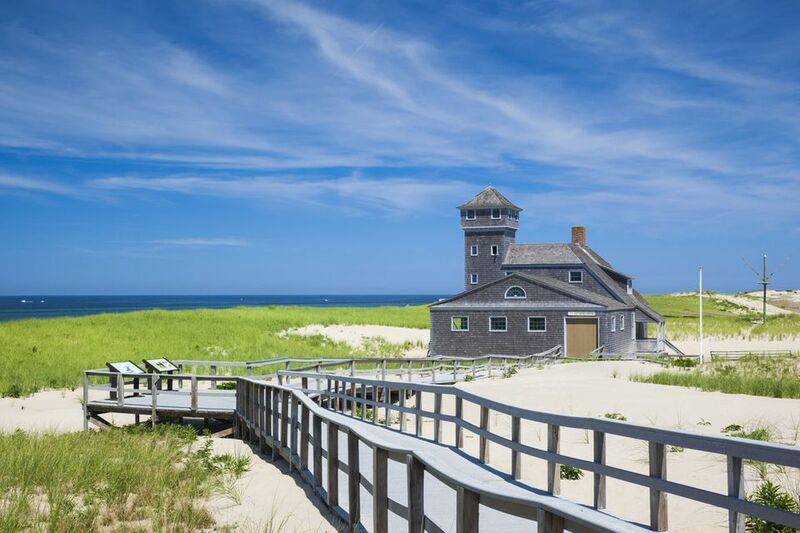 What is it that makes Cape Cod and the nearby islands of Nantucket and Martha's Vineyard so popular with New England travelers, particularly during the summer travel months? The Cape and Islands boast miles of ocean beaches, sand dunes, the freshest seafood served seaside, art galleries, scenic golf courses, and lovely villages. This Massachusetts region's appeal, however, is much more than the sum of its parts. Cape Cod, Nantucket, and Martha's Vineyard all leave powerful impressions on visitors, and many return at various stages of their lives to collect more treasured memories of carefree days scented with salty air, flavored with fried clams and buttery-rich lobster, and punctuated with sunsets, breezes, and opportunities to reconnect with children, sweethearts or their own inner rhythms. If you're planning to travel to Cape Cod, Nantucket and/or Martha's Vineyard, this guide is your starting place for discovering this area's best vacation possibilities. From places to stay to attractions to see, here are some of the ultimate experiences that await on Cape Cod. You haven't truly been to Cape Cod unless you've experienced the remarkable sand dunes in Provincetown. Come along on a dune tour and learn how to book your own dune excursion. For a nostalgic experience, nothing beats watching the cranberry bogs go by aboard a Cape Cod Central Railroad train. You'll have splendid views from America's tallest all-granite structure, which commemorates the Pilgrims' first stop in New England... on Cape Cod. See where some of the best potato chips are made when you visit the Cape Cod Potato Chip Company in Hyannis for a free factory tour and a free sample. If you're unfamiliar with Christmas Tree Shops, you're in for a true treat when you discover one of these bargain emporiums during your Cape Cod travels. The Enchanted Village at the Cape Codder Resort & Spa on Cape Cod is fun for kids and nostalgic for grown-ups. Don't miss this old-fashioned free attraction during the holiday season. Cape Cod's Ocean Edge Resort in Brewster, MA, is one of New England's largest resorts. This 400-acre family vacation destination has its own 700-foot private beach on Cape Cod Bay, four outdoor pools, two indoor pools, five hot tubs, luxury rental villas, golf, tennis, spa services, and a summer children's program. Winter is the perfect, quiet season for a girlfriend getaway at the Dan'l Webster Inn on Cape Cod. Parents can play, while their kids enjoy free, supervised activities all day at the oceanside Red Jacket Beach Resort: an ideal spot for a Cape Cod family vacation. New England's largest island has a reputation for being an exclusive hideaway. Want to rub elbows with celebrities, politicians and corporate honchos? Here's how to make the most of your time on Martha's Vineyard. The Obamas and the Clintons both chose Martha's Vineyard as a vacation hideaway. Here's a guide to island highlights for everyone who isn't traveling with a Secret Service entourage. Nantucket lies 26 miles off Cape Cod, but the charms of this "far away island," as its name means in the native Wampanoag language, are worth the trip. Nantucket feels a world away, especially in the spring before summer's crowds arrive. These photos will inspire you to see Nantucket's harbor, beaches, lighthouses, cobblestone streets, cranberry bogs, and historic attractions during the time of year when sunny daffodils are a harbinger of spring.